I am by no means here to tell you anything about your body—your form is your own and there's no reason to change it. That being said, there are a lot of people hoping to tone various parts of their bodies, and that's fine too. Being healthy is an important life choice, one that's hard to maintain (I can attest to that fact). I've tried eating like Bella Hadid for a week, J.Law's fitness plan (yes, it includes pizza), and investigating how to lose weight based on my personality type. But, through tons of research (and trial and error), I've learned fat loss is never as simple as calories in versus calories out. There are a ton of moving parts when it comes to creating a healthier lifestyle for yourself. Mitchell Chasin, MD, the founder of Reflections Center for Skin and Body, explains, "Along with diet, exercise, and any cosmetic treatments, there are managing motivation levels, building your willpower muscles, and overcoming hormonal imbalances and genetic predispositions, to name a few." Chasin continues, "One of the topics we don't see enough conversation about is the different types of fat, and how your strategies for fat loss need to vary based on which kind of fat you're targeting." Doing so will help you choose the correct strategy—which means faster and easier fat loss, and more success when it comes to maintaining it. Below, we delve a little deeper into each type of fat and the best ways to keep them off—for good. Whether you're interested in surgical options (no judgment), nonsurgical methods, or targeted diet and exercise, we've got you covered. "Fluffy fat is soft and jiggles easily. Female hormones tell our bodies to accumulate this kind of subcutaneous (below the skin, above the muscle) fat much more readily than men, and it's typically found on women's stomachs, hips, thighs, and/or backs of the arms," says Chasin. "This kind of fat is soft and rounded and very lightweight, so when you lose fluffy fat, you can't always rely on the scale to measure that loss, but because it's so voluminous, you'll notice you're fitting into smaller clothes. "But because our hormones tell our bodies to hold onto this type of fat (in case we become pregnant and need the extra energy), it can be difficult to shed that last bit of fluffy fat, especially on the abdomen, hips, and thighs. If you're working out hard but not looking cut or toned, fluffy fat is likely to blame." "The best choice for a toned look, sans fluffy fat, is laser liposuction," recommends Chasin. "During laser liposuction, a laser liquefies the fat before it's suctioned out, making it easy to remove that layer of squishy fat and reveal your hard-won muscles." "SculpSure, a noninvasive laser treatment, does an excellent job of permanently removing fluffy fat," Chasin explained. "SculpSure works by heating fat cells just beyond their limit, causing them to die and be permanently removed by the body's natural metabolism." "Since this fat is associated with hormones, the best way to get rid of it is to cut down on sugar consumption," says Brooke Alpert, a well-known fitness expert. "Specifically, liquid sugar in the form of soda, juice, and alcohol. While you can do all the sit-ups you want, the best bet to banish this fat is to do a high-intensity interval training (I love The Fhitting Room!) to burn this subcutaneous fat." Cindy Leos, a professional dancer, Pilates instructor, and fitness expert, suggests taking CLA supplements, as they aid in losing body fat. 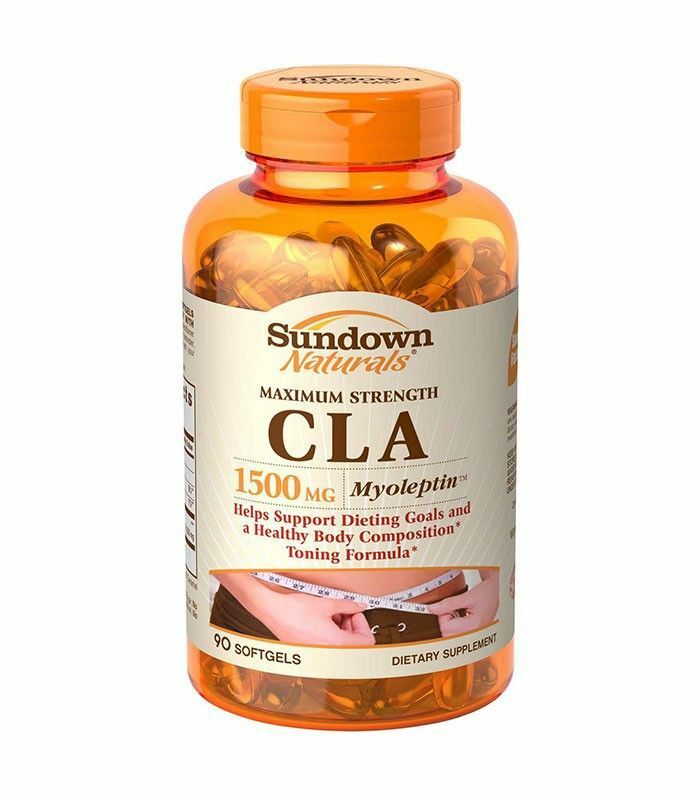 CLA supplements can help reduce body fat deposits and improve immune function. Fibrous fat is the tougher version of subcutaneous fat and often forms set-in rolls. You can still pinch fibrous fat, but it's tougher and doesn't squish the way fluffy fat does. The perfect example of fibrous fat is the rolls that form around your bra (especially when the roll remains after the bra is gone). Sometimes fluffy fat becomes fibrous, due to the constant pressure of ill-fitting clothes, and sometimes the area was fibrous before the fat accumulated. Whatever the case, fibrous fat is less easily removed than fluffy fat because the fibers that form around and between those fat cells hold it in place and make it harder for your body to use that fat for energy. So it's typically the last fat that would get burned by your body's natural processes. Again, Chasin says, "Laser liposuction offers the easiest and most complete removal of this type of fat, and because the laser will release those fibrous bands, any fat you do accumulate in the same place afterward would likely be fluffy fat, which is easier to lose naturally." "CoolSculpting works the best for this type of fat. Because fibrous fat tends to accumulate in rolls, CoolSculpting's unique contour applicator allows us to attack the roll of fat from all angles, for an effective treatment," says Chasin. "Any type of weight loss will help in this department, but this is where building muscle while losing fat is the best for a solution," suggests Alpert. "This, sadly, is also the type of fat that will often need additional help." Try eliminating processed foods and upping your workouts to one more day a week. First of all, do you know 90% of women have cellulite? So, the next time you feel bad about yours, remember that fact. It's something we all deal with at some point or another. But if you're self-conscious about it, I get that, too. According to Chasin, cellulite happens when fat gets trapped in the bottom layers of the skin—and it becomes worse as we age and our skin begins to thin. But it's important to note that the appearance of your cellulite has more to do with hormones and genetics than age. "While some women can lose cellulite by losing weight, that's not the case for everyone," says Chasin. "Cellulaze is a revolutionary treatment that addresses all three causes of cellulite: fat within the skin, fibrous bands that create dimples, and thinned skin," Chasin says. "Using a laser to thicken and tighten the skin, release the fibers that pull in deep dimples, and melting fat bulges trapped in the skin, this treatment creates lasting smoothness." You can achieve a reduction in cellulite using a combination of noninvasive procedures as well. Chasin's favorite is SculpSure and Exillis. "SculpSure is a noninvasive fat-melting laser that reduces fat one to three centimeters below the skin's surface, [which is] perfect for fat trapped in the skin's lower layers. Exillis is a radiofrequency treatment that tightens and tones skin for a smoother appearance." "Cellulite is a tough one," agrees Alpert. "Sometimes losing weight can be beneficial, but other times it can almost make it appear worse. For my clients complaining about cellulite, I suggest they go on a low-sugar diet, as excess sugar in the body can compromise the skin's structural support system, worsening the appearance of cellulite. I also recommend a diet high in vitamin C to promote the production of collagen. (I love Reserveage Collagen Replenish, $16.) Muscle-building workouts with moderate weights are great, too." Applying cream with caffeine can also help to tone and smooth your skin. A potent blend of orange peel oil, jasmine, and caffeine, this formula smooths, firms, and moisturizes to reduce the appearance of cellulite. 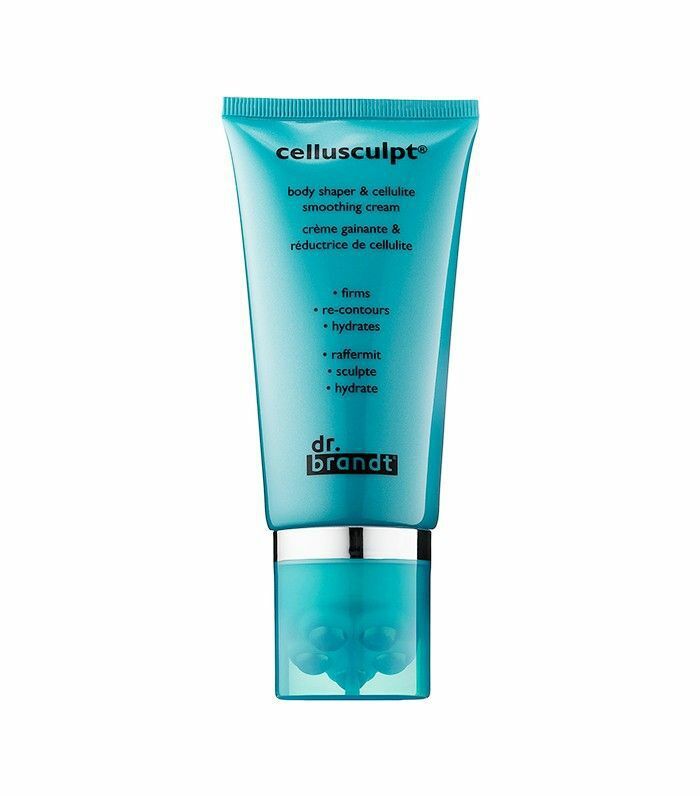 It even comes with a massaging applicator to increase circulation and help contour your body. Firm fat (also known as visceral fat) is different from the three other types, as it lives below the muscles, surrounding your internal organs in your abdomen. Because it's located behind a thick muscle wall, this type of fat feels firm, not soft or pinchable. "Visceral fat is a problem that has to be tackled with lifestyle changes alone because there aren't currently any tools in the cosmetic surgeon's arsenal to help reduce this kind of fat," Chasin asserts. However, the good news is that this kind of fat responds faster to lifestyle changes than the others. Here are few ways you speed up your firm fat loss. "A 2010 study published in the journal, Sleep, concluded that individuals who slept less than six hours a night experienced a 32% gain in visceral fat over five years," reports Chasin. 2. Combine exercise and diet change to make a bigger impact. "Combining diet and exercise helps with your efforts exponentially when it comes to visceral body fat. Low-carb diets have been shown to be particularly effective, but you'll want to talk to your doctor before you take on a new fitness routine," Chasin recommends. Alpert agrees: "Add green tea to your diet, as the antioxidants are known to promote belly fat loss." "For every 10% of overall weight loss, you lose 30% of your visceral fat," explains Chasin. "So sticking with a program can pay off quickly." 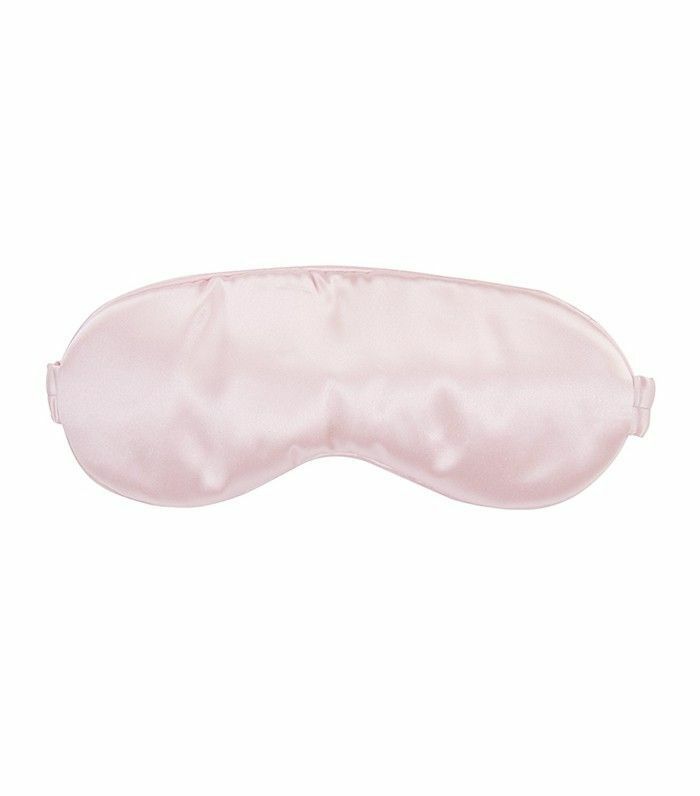 Get some much-needed shut-eye with this silky eye mask that is just as luxurious as it is effective. For more weight-loss information, check out the time I tried (and survived) New York's five most popular workout classes.